1. Hat à la Zinzarra. 2. Morning baigneuse, seen on the side. 3. the same Baigneuse, seen from the back. 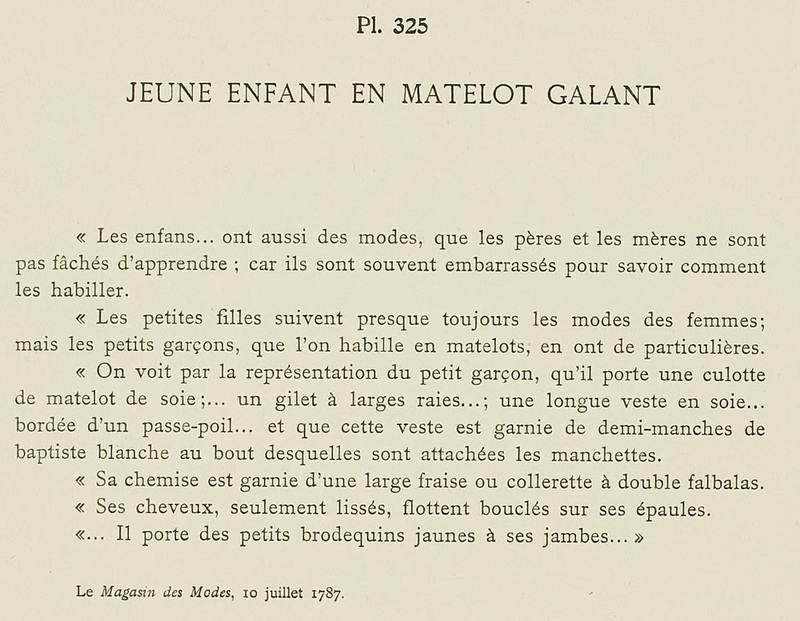 4. young Child Dressed in a galant Matelot etc. "Children ... also have fashions, that their fathers and mother are not vexed to learn; for they are often confused to know how to dress them. "Little girls almost always follow women's fashions; but little boys, that are dressed in matelots, have particular clothes. 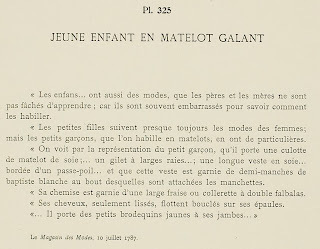 "One sees by the representation of the little boy, that he wears matelot breeches of silk; ... a gilet with wide stripes ...; a long silk jacket ... edged with a piping ... and that this jacket is trimmed with half-sleeves of white batiste at the end of which are attached manchettes. 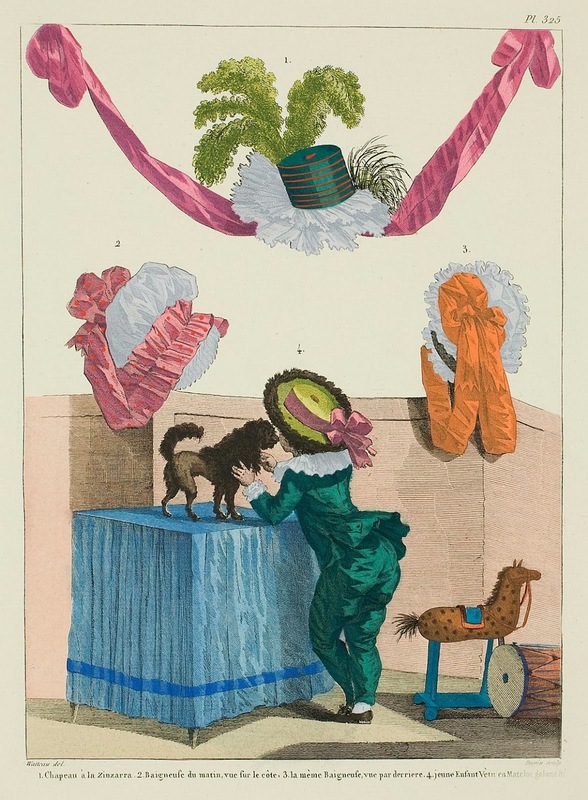 "His shirt is trimmed with a wide frill or collarette with double flounces. "His hair, only straight, hangs in curls on his shoulders. "... He wears little yellow brodequins on his legs ..."